STEP 2: Fabric selection is one of the element for apparel customisation, especially for uniform and private label manufacturing. Our client can also determine the weight, weave and quality of the fabric according to the nature of the apparels. 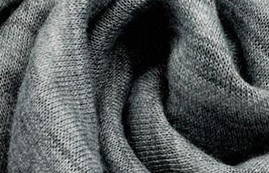 Check out some of the favourite fabrics used for apparel customisation! For the perfect fabric for your production, kindly drop us an enquiry with your requirement so that our fashion coordinators can provide recommendations! 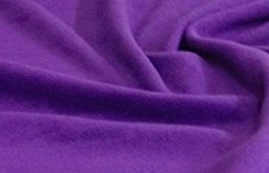 Anti-pill polar fleece eliminates fraying while cutting the fleece. Fleece is also available for printing, perfect for kidswear too! It is important to choose the correct fabric for sportswear so as to optimise the performance of the wearer. Apparel Empire has over 50 types of fabrics with properties specially designed for sportswear. 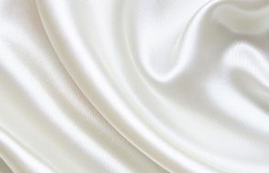 Understand your own requirements and choose the correct fabric for your production! 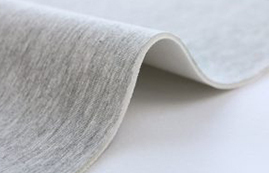 The fabric is renowned for its special ability to stretch much more than its original length and more importantly, it has excellent recovery in keeping the clothing in shape. Another admirable feature is its resistance to sunlight, allowing the wearer to sweat in comfort and providing ease of movement. 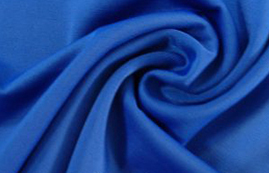 A perfect material for tshirts, jeans, lingerie and swimsuits. Although different mesh fabrics vary in weight and hole size, a typical mesh contains 85% of material and 15% of holes. Professional players prefer mesh as it provides better comfort and stretching ability. It also better ventilation for the wearer’s skin. 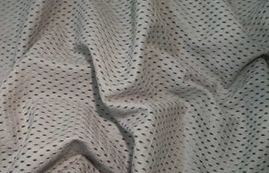 Mesh is mostly used for creating tops, tanks, active wear and also works as a lining in sports jacket or workwear. One of the trending fabrics for activewear and athleisure wear. Neoprene is durable, insulated, wrinkle & water-resistant, and it maintains flexibility in almost any temperature. It is mostly used to create swimwear and wetsuits but it is widely used for private label collections and sportswear.